Exciting times - We are Moving! 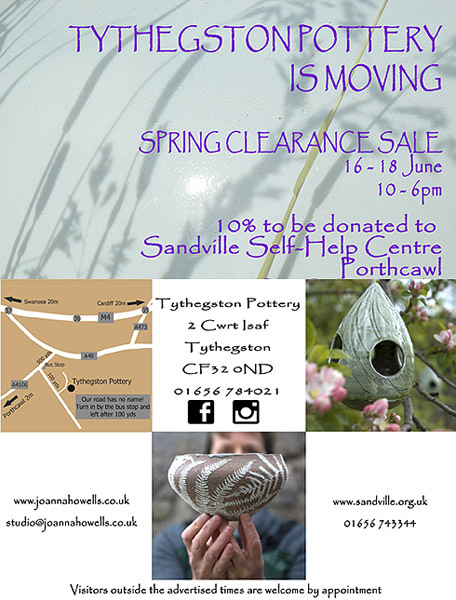 I look foward to welcoming you at my sale - hoping to have a really thorough clear out, so there will be bargains to be had. I will keep you informed with my updates as things go along. 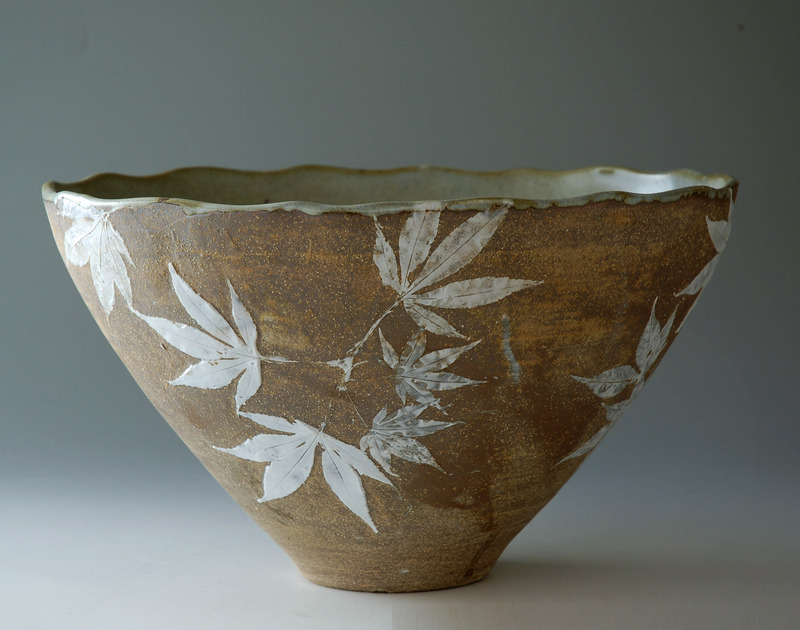 Maple Bowl. 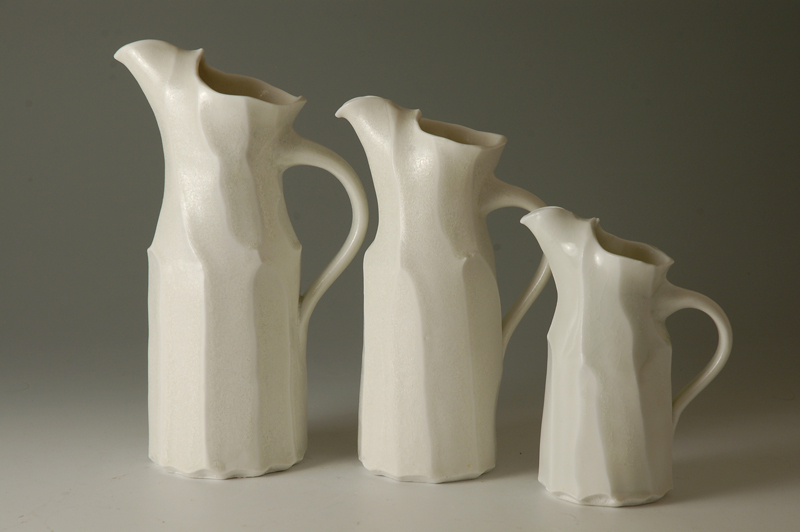 Stoneware and Porcelain. Chun glaze interior. The surface is created by transfering the pattern of holes made by the grub of the dock beetle onto the porcelain, which is then etched. Te difference in thicknesses is emplasied by the translucency of the porcelain. 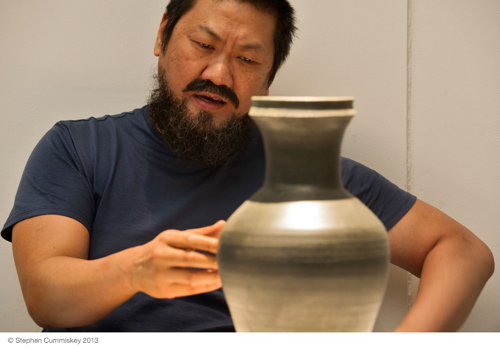 In 2013 I was commissioned by the Hampstead Theatre to make a reproduction of a Han Dynasty urn which featured in dramatic fashion during a new play by Howard Brenton about the arrest, detention and conviction of Ai Weiwei on allegations of tax evasion in 2012. 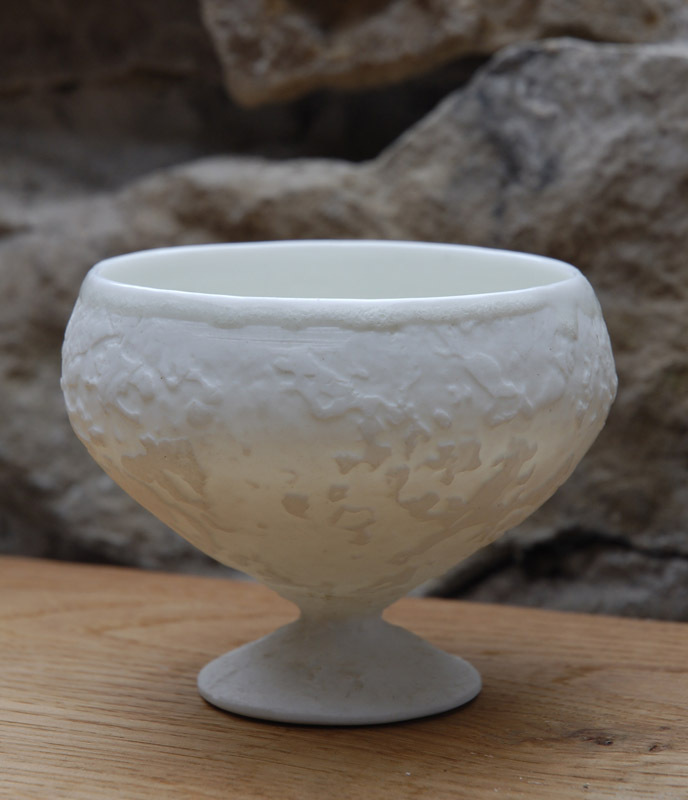 While my contribution was considered to be that of a 'traditional' potter, the making process revealed to me the workings of artists who employ artist-makers to realise their concept or vision. You can read more about this intriguing experience in my blog. A finished piece was auctioned by the theatre.